Most of us know the fruits of the tree more than we know the tree. Ever wondered where the mabuyu seeds come from? They come from the baobab tree or what we call Mbuyu in Swahili (Kenya), Mowana in Setswanna (Botswana) or Malambe in Chichewa (Malawi). The Hochschule Rhein-Waal together with Scientists from Kenya, Malawi, Germany and Sudan have come together to research on other ways the tree can be used in the food industry. The research will be working with a Kenyan German couple, Halima and Andreas Triebel, that runs a company that specialises in the baobab tree products. 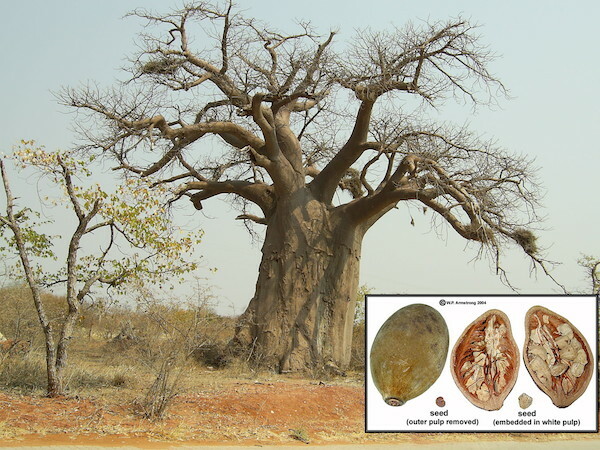 The baobab fruit was authorised into the European Union from 2009, now the researchers are looking for ways how the other products from the tree can be used for the European market. The project dubbed, “Baofruit” is financed by the Federal Ministry of Science and Research will be coordinated by Prof. Dr. Dietrich Darr of the Hochschule Rhein-Waal. The fruit is believed to have numerous health benefits and can be incorporated in most food products to increase their benefits. The tree and it’s components have been used for generations in Africa, Australia and part of Asia and the Americas. In Tanzania for example it is used in beer making while in Japan it was used in the making of Pepsi Baobab. According to the Triebel’s company, the baobab products can be used to repair your health, digestive system, mood and even skin. They have nice recipes you can try out on your own and great products you can order from their site. PS: Did you ever use the seeds after having your mabuyu and removing the outer covering of the seed, to burn people? LOL…talk about randomness. We’d take the seeds and rub them hard on the concrete floor after which it would get really hot then we’d place it on an unsuspecting individual’s leg….wooiii…..the toys we had. Anyhu back to serious business. 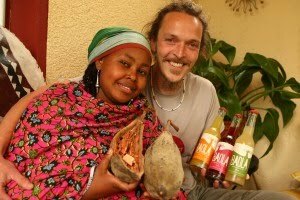 The founders of Baobab Social Business gGmbH are Halima and Andreas Triebel. They live in Munich and have five children. Halima Triebel was born in Kenya in 1982; Andreas Triebel in Munich in 1971. Halima and Andrea founded “Baobab Family e.V.” in 2001. The goal of this non-profit organization was – and is – helping Kenyan homeless kids – many of them orphans – learn how to help themselves. This activity has by now been joined by helping stopping the spread of AIDS, and by supporting the disease’s victims. Their more than 10 years of development work have provided Halima and Andreas with a deep understanding of and proficiencies in this complex activity. They employ this expertise in the running of the company. In 1994, Andreas Triebel took his first trip to Kenya. He lived there for two years. Andreas is the founder and chairman of the board of Baobab Family e.V. He is also the director of the associated Kenyan NGO (non-governmental organization). Halima and Andreas are definitely an innovative couple, surprisingly their shop doesn’t sell mabuyu as you would expect. They have everything from Baobab fruit drinks to Baobab fruit spreads and Baobab oil. They are definitely charting the way in virgin land. Their business idea is definitely an inspiration and a motivation to others to move out of the “normal” road. You can visit their page: Baobab.org to learn more about them, their business and products. You can also shop for their products and try them out. But honestly, this tree has an ugly German name ati Affenbrotbaum loosely translated to Monkey’s bread tree. It might not be the cutest tree in the Savannah but as in really of all names?